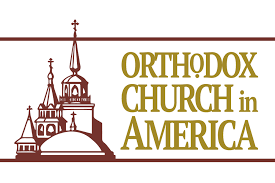 Charita Stavrou who fell asleep in the Lord on March 24th, 2018, dedicated her life to Orthodox missions. She made vestments and ministered to hundreds of people in six African countries. May her memory be eternal! Charita Stavrou passed from this life early Saturday, March 24th, 2018, after battling cancer. Mrs. Stavrou dedicated her life to her faith, family, serving others, and Orthodox Missions. 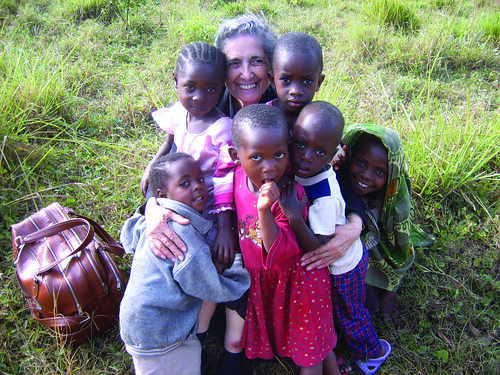 Over the years she was involved with the OCMC, Mrs. Stavrou visited six African countries on short-term teams, and in 2010 completed orientation and training to serve as a long-term missionary to Tanzania. In the field, “Mama” Stavrou impacted lives while combining her passion for sewing and sharing her faith. 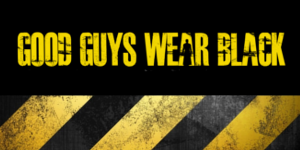 This was applied in both the ecclesiastical and domestic settings. For several churches, Charita sewed vestments for priests and sets of ecclesiastical coverings and altar cloths. And even at night during her training for missionary service, Charita sewed a set of ecclesiastical table coverings for use at the OCMC and acolyte robes for the local parish. In the field, part of Mama Stavrou’s assignment was to gather village women to share practical techniques of sewing household items. She found mutual connections and converted into blessings the common struggles women worldwide experience while striving in life. 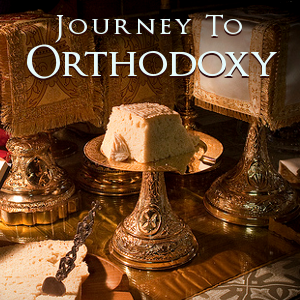 Little by little, together they would discover how God was working in their lives, Orthodox and non-Orthodox alike. And slowly, perhaps they also discovered what many had wondered: what had compelled a woman her age to travel so far to meet and work with them. Mrs. Stavrou’s sewing skills were legendary; from creating altar robes to wedding dresses, she could make it all. She was passionate about spreading her faith and helping others in need. Many of the short-term teams she served took place from 2007-2011, where she shared her faith in Tanzania, Cameroon, and Uganda, among other nations. Not only was she a missionary, but she also supported the growth of the Orthodox Faith throughout Africa. At the end of her long-term service in Tanzania, Mrs. Stavrou fell ill. She returned to the U.S. for treatment, but would have preferred to stay despite the seriousness of the illness. The Lord resurrected her from that illness, and she felt as if He had “at least seven more assignments” for her. Mrs. Stavrou will ever be remembered as her devotion and generous works continue to bless so many hierarchs, priests, and churches served through the OCMC. She will be known for her giving spirit, preferring to do the supporting rather than be the one supported. She understood the hierarchs’ visions and needs and responded, to the ends of the earth. Charita Stavrou gave in every way, and is now at home with the Lord. Her legacy lives on in her children, her grandchildren, and great-grandchildren. May her memory be eternal, living in the hearts of all the souls she touched throughout her lifetime.